Product #21024 | SKU C-C6-SOL R BLACK | 0.0 (no ratings yet) Thanks for your rating! 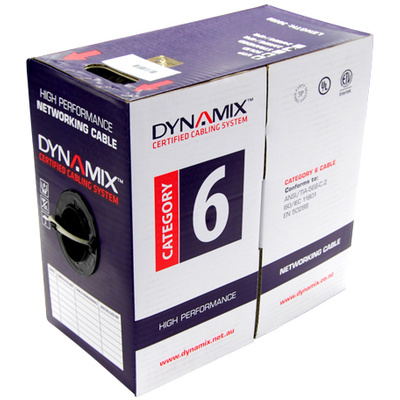 DYNAMIX 305M Cat6 Black UTP SOLID Cable Roll. 550MHz, 23 AWGx4P, PVC Jacket. Supplied in Easy Pull Box.